SMI exclusively manufactures latest generation packaging machines designed according to INDUSTRY 4.0 parameters; they feature modular design, operating flexibility and high performances, thanks to the fully automatic processes, the electronically controlled drive shafts and the wiring by field bus. The hardware and software components are IoT (Internet of Things) ready, are open and modular, are CE-certified and rely upon consolidated standards of the industrial and packaging sectors: OMAC guidelines, SERCOS, PROFIBUS, IEC61131, OPC, Industrial PC. As a result, SMI machines can guarantee easy integration with the other machines in line, user friendly technology and safeguard of the investment value. The machine hardware includes: MARTS (process controller), POSYC® (man-machine interface), ICOS (brushless motor with built-in digital servodriver), dGATE and aGATE (remote IP65 I/O digital/analogic modules). The MARTS is a PAC (Programmable Automation Controller), based on an industrial PC, which can be programmed in IEC61131 languages. 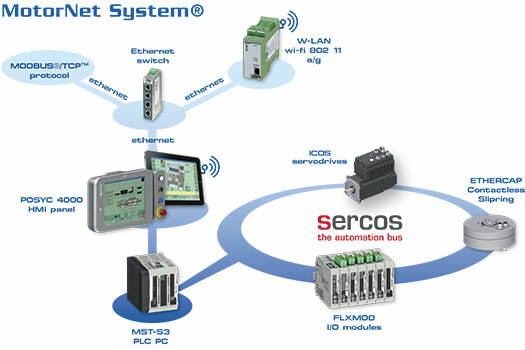 The COSMOS/ICOS servodrivers and the dGATE/aGATE I/O modules are connected to the PAC via SERCOS. The POSYC® is a control panel with IP65 touch screen and is based on a fanless PC with solid state drive. High outputs, with excellent quality levels. Constant maintenance of the control parameters. Reduced noise of the machines. 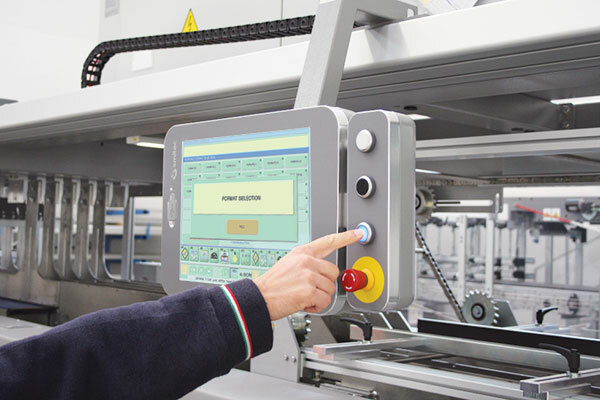 Direct control of the conveyors connected to the machine, without additional plc. POSYC® automatic warning of maintenance needed. Programmable machine pitch and drive shafts movement. Machine performance monitoring and down-times analysis (Pareto diagram). OPC or MODBUS/TPC connection for production data collection. Teleassistance over the phone or through the Internet. Easy storage of the installation parameters. POSYC® interchangeability with compatible Panel PCs (SIEMENS, ALLEN BRADLEY). COSMOS interchangeability with compatible SERCOS PACK PROFILE servodrivers (ALLEN BRADLEY).